Royal Caribbean, Jamaican Me Hungry! I know, my post title is really baduy. Indulge me. This is the first time in 7 days that I’ve actually found the time to blog. That’s the excitement talking. Anyway, in search of suits to wear to an upcoming wedding, the boys and I decided to check out Market Market. I’m not sure what we thought we were gonna find there, but I did know that we were gonna drop by Royal Caribbean Jamaican Patties to grab a bite. I’d had an outstanding invitation from them for months to come over, and we finally got to do it. Yay! Aha! I can have these delivered! We normally visit that other Jamaican place just because they have branches in all of our favorite hangouts. 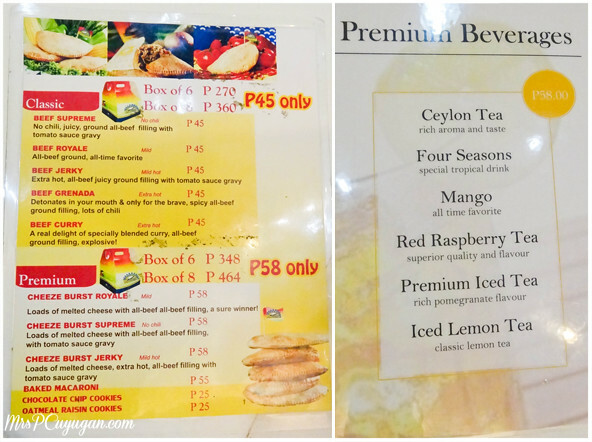 I was looking forward to trying the different flavors of Royal Caribbean for a change. It’s too bad that my stomach was iffy because we’d been eating nonstop that weekend, otherwise I would have tasted more than one pattie. And yes, there were a lot of options to choose from. Look, healthier chicken, tuna and vegetable patties! I was surprised to see baked macaroni and cookies on the menu. We thought about ordering these, but changed our minds at the last minute. We ended choosing patties with our favorite fillings, plus drinks. Part of me feels that I should have tried something new, but I just don’t see how you can not eat Jamaican patties at a Jamaican pattie store. Makes sense? MrC always chooses something spicy, while the little boy picks something with cheese. The husbandry had a Beef Jerky Pattie (PHP45) for his first round (yes, he had more than one), plus a Coke. 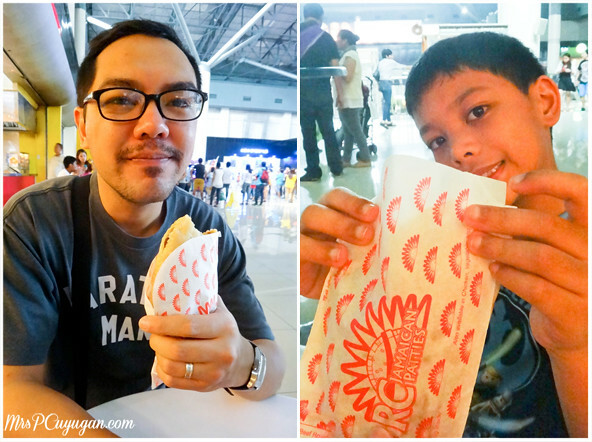 The kiddo ordered the Cheeze Burst Supreme (PHP58) and a Mango Shake (PHP58). They both wanted more after they gobbled down their patties, but we managed to convince the kiddo to order dessert instead. MrC, on the other hand, went for round two with a Cheese Burst Royale (PHP58). Of course I took a bite out of everyone’s orders. The Beef Jerky was nice and spicy, and I honestly don’t know how MrC could keep adding hot sauce with every bite. Between the two Cheese Burst flavors, I prefer the Supreme because I like my patties with tomato sauce in them. Big and Little MrC are happy! I ordered the Beef Supreme (PHP45), which had tomato sauce and wasn’t spicy. This, in my opinion, needed hot sauce to make each bite more exciting. It’s a good thing Royal Caribbean gave us a nice big squeeze bottle full of their tangy, spicy sauce. 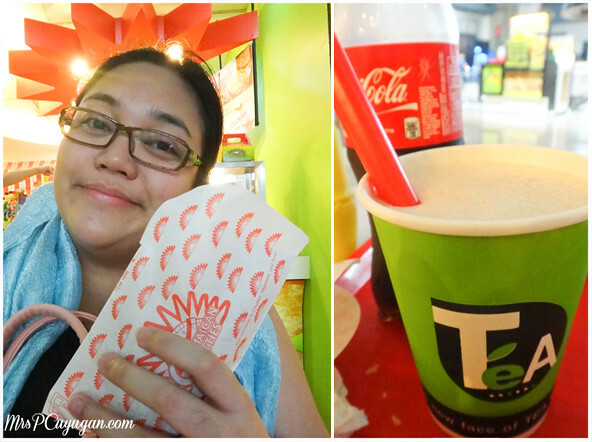 So yummy, and it all went very well with my Ceylon Tea Slushie (PHP58), which actually helped calm my turbulent tummy. 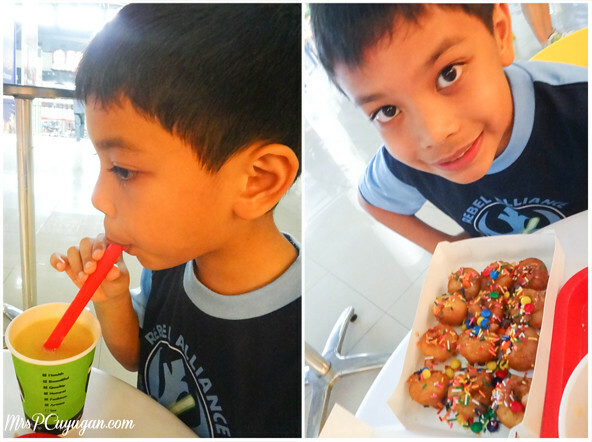 Since the kiddo really wanted to eat some more, he and MrC crossed the hallway to buy some mini donuts. I love the smell of these little fried treats. They remind me so much of recess time at Zobel! I found these ones too sweet though, but I think it might just be the flavor that the boys chose. I still prefer my mini donuts simply dusted with sugar. 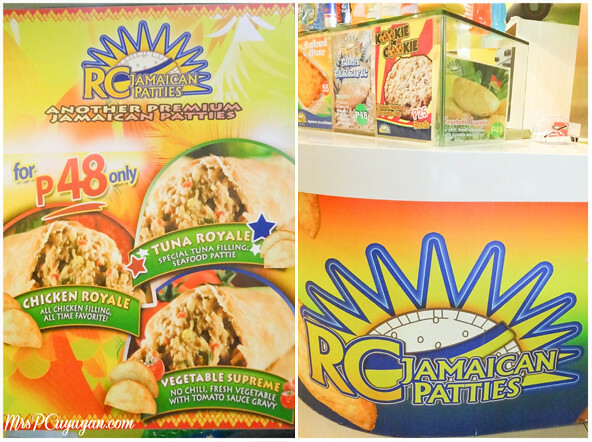 RC Jamaican Patties would make great movie snacks, and I can’t believe I never thought to buy some to bring into the theater before. The shop is conveniently located right where the cinemas are at Market Market, so go and grab some for your next movie date. And don’t forget the Ceylon Tea, coz that’s really good, too. THANK YOU Royal Caribbean for the treat! The boys and I really enjoyed ourselves! I’m a fan of De original Jamaican beef Pattie but I’ve been hearing a lot about Royal Carribean.I want to try kaya lang ang layo ng Market Market. I hope they branch out here in north area. I haven’t really has a taste with this nor have tried them out – will do, soon. I never tried Royal Caribbean but this one looks very delicious! Glad that the whole family enjoyed the resto! 🙂 Hoping to drop by soon! I love Jamaican patties but sometimes the taste are too flavorful for my liking that I get the “umay” factor. I know what you mean. I can only eat one, and I have to have a sweet drink to go with it. Meanwhile, my boys can finish at least two each! I love Jamaican patties though I haven’t tried it again for quite some time. Thanks for reminding me of how tasty this treats are. They’re the best cheat day snacks! With iced tea! You had me at the spicy patties, and would like to try some of those. Glad you and your family enjoyed that day out! Thank you, Rebecca! We really did have fun. And yes, the spicy patties are super yummy. i tried their tuna flavor and it was indeed delicious and healthy. Oooh really? Now I’m super curious! I keep thinking this is on a ship (because of the name: Royal Caribbean) but I realize nearing the end it’s actually a cafe/restaurant! I’m glad you guys enjoyed the experience! I wish we have that here in Iloilo. Would love to try some! I know there’s a branch in Iloilo! I’m just not sure where exactly. Ok since this branch is in our area, I think I should give them a try again. And I wasn’t aware they had new stuff in their menu. Thanks for sharing your adventure here in our area. Haha. Will let you know what happens to mine. Yes, I’ll be waiting for your kwento, Jance! Whaaa!!! 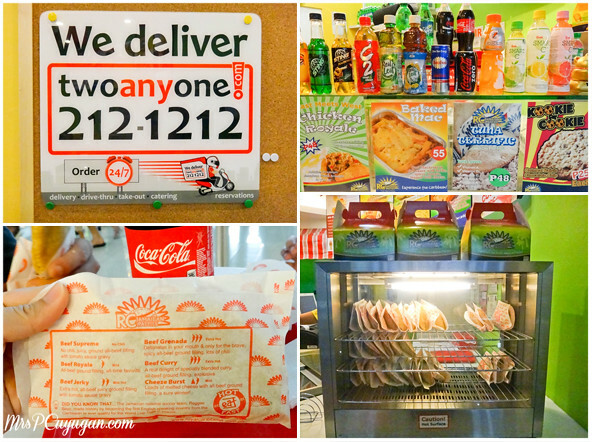 I love the other jamaican patty place but I find it too unhealthy. I would like to try this. Kaso, why do they have a branch in Market! Market! only? Hope they have a branch in Muntinlupa area soon. Traffic is scary on that side of Manila!